Dr. Vivek Kumbhari is Assistant Professor of Medicine, Director of Endoscopy at Bayview Medical Center and Director of Bariatric Endoscopy at Johns Hopkins Medicine. His areas of expertise include minimally invasive, non-surgical therapies to facilitate weight loss and the treatment of obesity related diseases such as hypertension and diabetes. Dr. Kumbhari is also internationally renowned for minimally invasive, non-surgical methods to manage complications of surgery. Additionally, he is an expert in performing endoscopic therapies to treat oncologic conditions involving the gastrointestinal tract. Dr. Kumbhari was born and raised in Sydney, Australia. 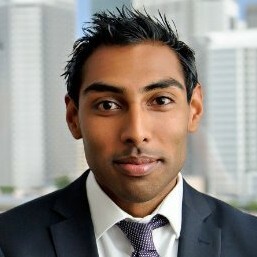 He completed his GI training at Sydney's leading hospitals and was one of the youngest ever to become an Attending GI Physician in Australia. To further his knowledge, he joined the prestigious two year Advanced Endoscopic Fellowship program at Johns Hopkins. During this training period, in addition to clinical excellence, he began to push the frontiers of endoscopic therapies gaining him international recognition. He then joined the GI faculty at Johns Hopkins and began to take on several leadership roles. From a research perspective, he boasts almost 100 peer-reviewed publications, book chapters and invited reviews. He is an invited speaker both nationally and internationally. He is in his final year of his PhD which focuses on minimally invasive flexible endoscopic surgery. Dr. Kumbhari understands the challenges involved in not only losing weight, but also maintaining weight after it has been lost. He understands the holistic nature when it comes to losing weight and works intimately with colleagues who are expert nutritionists and bariatricians. He believes in arming the patient with knowledge and providing them with the most up-to-date therapeutic options.